Another week of sun and Moogee may start dog-bathing again. Meanwhile the shower of marvellous art continues to drench us with facts and figures. Mr.Hirst (Moogee’s favourite artist) has seen fit to make some headlines (with a little help from his overactive PR dept.) by releasing a diamond-encrusted bonce. Said Pearly Bling has made many column inches and left people in no doubt that we witnessing the greatest living artist since…oh Rolf Harris I’d guess. That the bonce is tarted up with a batch of sparklers of indeterminate lineage ( pace Clive James in BBC article) we are left to wonder at the beauty of the artifact. A noble addition to the fake skulls that the Incas knocked out circa 1952 this latest ‘zeitgeist trembler’ is as good as anything the Hirst as ever done i.e. it’s not very good at all. As if by a miracle (or tie-in) David Beckham dyed his bonce in hommage. Moogee waits with trembling paws for the Becks and Posh his and hers diamond skulls to be ‘released’ soon. So it good to know that Hirsty has already knocked out a second Fish in a tank to keep the market bouyant. Expect a Top-Shop Emin Tent soon with back page adverts in Sunday Times and how long before individual Mark Quinn blood heads will be sold as Blood bags for hospitals as part of yet another PFI initiative to ensure that dying pensioners see great art as they waste away in corridors. Yes life is consumption these days and a big Woofy yes to the show and tell generation. Thank god the art world has cleansed itself of those dour old duffers with their paint smeared hands and anti-social graces. A skull is worth a hundred Howard Hodgkins or Francis Bacons because all that depth and intensity and craft just got in the way of a good headline. You cannot expect your average Oxbridge hack to delve deeply into the artist’s psyche as they wolf their dinner down in Grouchos can you? Thankfully Warhol and his comedy offspring Gilbert and Sullivan (sic) were here to save the artworld from meaning. Better a hundred photo rehashes by some tired old pearly kings desperate to be asked on to the set of Eastenders than real painting. Yes the world is a better place and our lovely students of the arts have heeded their words and are busily creating artificial nonsensical installations and photo essays with flags and turds in as we speak. Hip hooray barks Moogee we love the new millenium artworld and all who sail in her…..
Mr. James who a little more erudite than your average YBA has written a fetching piece on Mr.Hirst’s latest tat at..
Mr. Hirst is the Barnum of our age and whilst not being a bad lad and kind to his mum he does produce some silly artworks. Even sillier is the stage-managed way he hoovers up press via his agent. Fair play in the kingdom of the skull the one-studded man is a chav. My friendly art dog has seen through the media fog for many a day mainly because being a dog he cannot converse with Mr. Hirst in case he rips him in two and drops him in a tank. Unfair treatment of a critic but that the way life is these days. 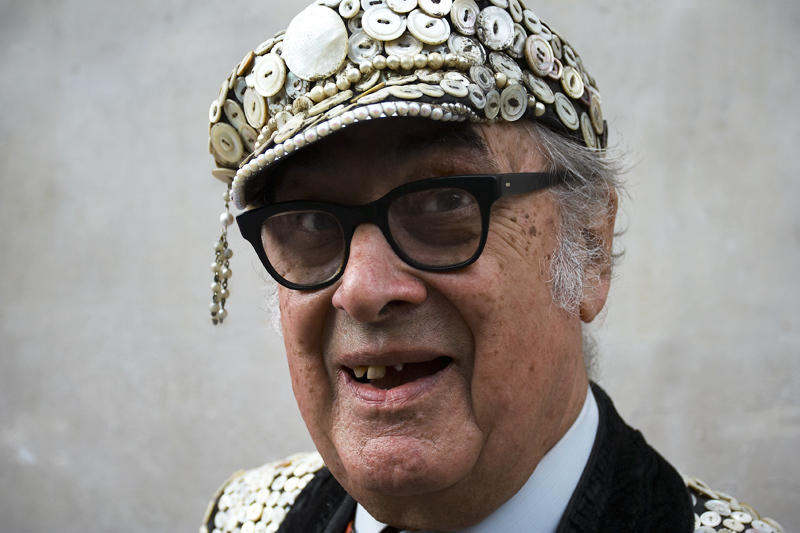 Would it be unwise if Moogee suggested that if current proportion of illegal diamonds on market as high as suggested that more than a couple of sparklers on this Pearly King’s bonce are dodgy anyway? In the week that London has become the art capitalism capital according to the newspapers Moogee takes great pride in unveiling a cheap alternative. Yes in DIY capital U.K. where the B&Q managers are rubbing their hands over their Flood spend bonuses Moogee is proud to offer every householder their very own version of Classic British Modern Masterpieces. The Mini Modern Masterpieces range will be the envy of friends and neighbours and give you a cachet in the International Art World you could never have dreamt of. Second Modern Masterpiece – Rachel Whiteread ( auction record £288, sale 000 and a student of Mr. Gormely at Slade). In homage to her Tate installation. Purchase a box of sugar cubes and place inside an empty shoe box. Voila your own Blue Peter recreation of a modern masterpiece! Moogee will source more Modern Masterpieces for the nation in the months to come. Todays final offering is a tribute to Dame Tracey Emin (no gong in the honour’s list yet but sells Neons for a measly £20, sovaldi 000 each and ‘drawings’ for a bargain £3,600) surely it only a matter of time before the greatest living female artist is rewarded for her scintillating cutting edge..umm what was her Venice show ..oh yes..her Times Postcard said it all ..it was how she would imagine O’Levels if she’d ever taken an exam….Moogee is saying nothing her words speak volumes. Her partying and dancing seemed somehow more substantial than her inept watercolours and boring neons could ever be. To replicate this artistic feast Moogee suggests you tear a few pages out of an Egon Schiele Taschen book and chuck a few Joseph Beuys drawings in for good luck as for the neon simply scribble some irrelevant quotes on a piece of paper in day-glo felt tip and there ya go a tribute to the U.K. Pavilion in no time. Yet another Mini Modern Masterpiece to enjoy in your own home….this time with an international seal of approval..to suggest that her prices will rise because of the Biennale is of course foolish beyond words. One artist Moogee cannot offer a mini masterpiece of sadly is David Hockney ( painting record price £2.6 million ). Sir David (surely he deserves it as much as Mr. McKellen and others) is simply too complicated, erudite and dare we suggest it ‘good’ to be compressed into a mini format. His latest landscape painting at the Royal Academy offers a pointed contrast to the foregoing artworks in that he actually engaging with ‘brain, hand and eye’ as he put it. Such notions are hard to compress into sound bites, photo opportunities and general spin. Maybe our new PM will spark a spot of honesty in politics and that will infect the body art too..
Moogee says it long overdue. Jonathan Jones doesn’t deserve some of the more ridiculous responses he has received on his Guardian Blog but at the same time he hardly warrents being called a critical colossus on the Angel of the North scale either. I regard Gormley’s career as being more an exemplar of the power of privileged education and background in these isles than an example of cutting edge (whatever that) significance. With a rich-kids glee he has showered our countryside with reproductions of himself which in parts ok but reeling off acres of pseudo-philosophical justifications for this sculptural navel-gazing is another thing. Mr. Jones (and I cannot resist bringing in a quip alluding to the Dylan song here) does know some of what is going on and he is using his status as a Guardian paragon of virtue (I suspect) to poke the dear reader with some good old critical slash and burn. I can forgive this but for his demoting Moore to third-rate Picasso. Moore represents a hell of a lot more about the development of U.K. modernism and how the art world and its possibilities have radically altered in the last 5o years(could a ‘working-class’ man of Moore’s stature (pace Hockney) exist again and are we in for more and more Gormleys?). These matters are far more interesting than tittle-tattle and pot-shotting. Sniping is worthwhile if the target worthy and a potshot at a Gormley sculpture could be a fun way to spend a weekend. Maybe funfairs should have booths for air-rifling his clay figures.. In a reversal of the time-honoured journalistic cliché and in heartfelt protest Moogee this week declares all performance artists like Mark McGowan as ‘fair game’ for us bewildered Art Dogs. For those not in picture Mr McGowan plans to eat a dead Corgi ‘live’ on radio. He has so far eaten a swan, purchase a fox and crawled around with a George Bush mask on and a placard stating ‘Kick My Arse’ which apparently almost brought the American president to his knees begging forgiveness…of course it did. Moogee is busily preparing another sign called ‘Bite My Arse’ so the art-loving dogs of these isles will know exactly where to inflect their criticism. The words cheap gimmick, stupid and waste of space come to mind but hey he’s doing it for a noble cause you know and no doubt believes that this will raise the issue…when in fact it just makes the whole thing look like a cheap art stunt (which it is). Just how is slurping on a bit of Corgi flesh going to come over on radio? Will our peerless studio engineers stick a microphone close up so we can savour the gnashing of this self-declared ‘veggie’ on doggy gristle and bone? The old adage ‘no such thing as bad publicity’ may be put on hold in this case and as for the radio station…..must be slipping in the ratings war…. Moogee feels it time to separate the art ‘clowns’ from the reasonably serious and god forbid actually talented…guess which category this fellow will end up in….woof….contender for Moogee ‘Bone of Contention’ award 2007 already. Meanwhile the collapse of western civilization continues apace and the art market continues to reflect the wider lunacy. Francis Bacon was a decent enough painter but was his ‘detritus’..that’s ‘rubbish’ in layman’s terms worth selling at auction? Indeed it just copped a near million notes for what? Some old cheques torn in half, some misplaced paint and a few broken canvasses? It makes an old dog lose the plot and start barking even harder. Will rising art stars now collect all their sweet wrappers and old fast food containers in case they worth a mint one day? 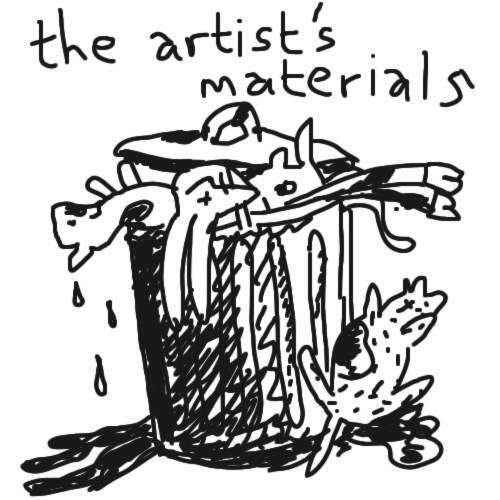 Though in some cases…you know who I mean..will bits of dead animal and old beds be art before or after they discovered to be rubbish? Maybe Mr McGowan’s next exercise could be to liberate that slightly mouldy old shark from its tank and eat that. Would certainly kill two birds with one stone and I expect that literally unless formaldahyde turns out to be good for the digestion. Would also bring the art market prices down if every potential dead animal buyer knew some carnivorous veggie lurking around the corner. So until I bark again and in case some lunatic artist tries to devour me whilst I chasing sticks on the heath please be careful it’s a sad old world out there and nobody is safe…..not even the President or the Saatchis.